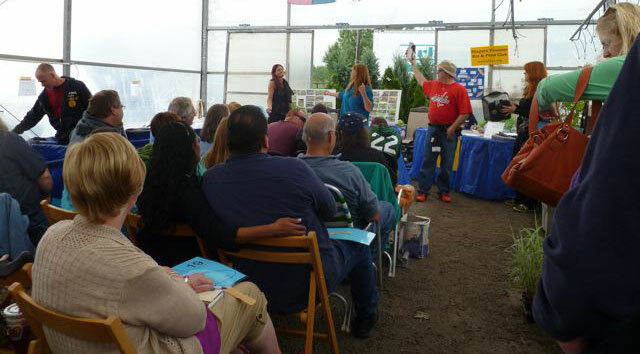 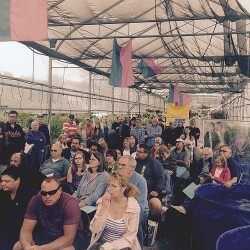 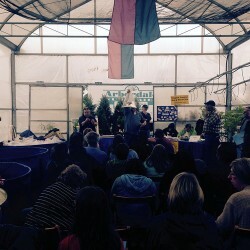 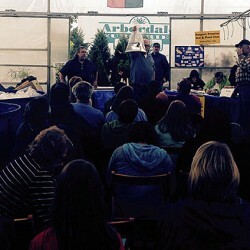 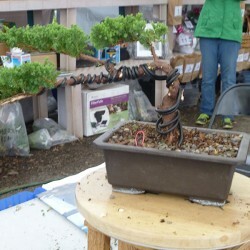 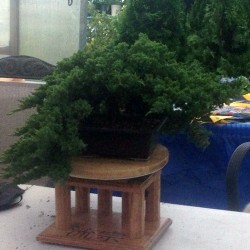 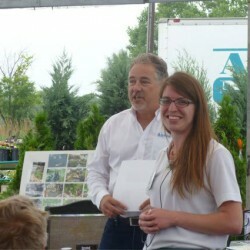 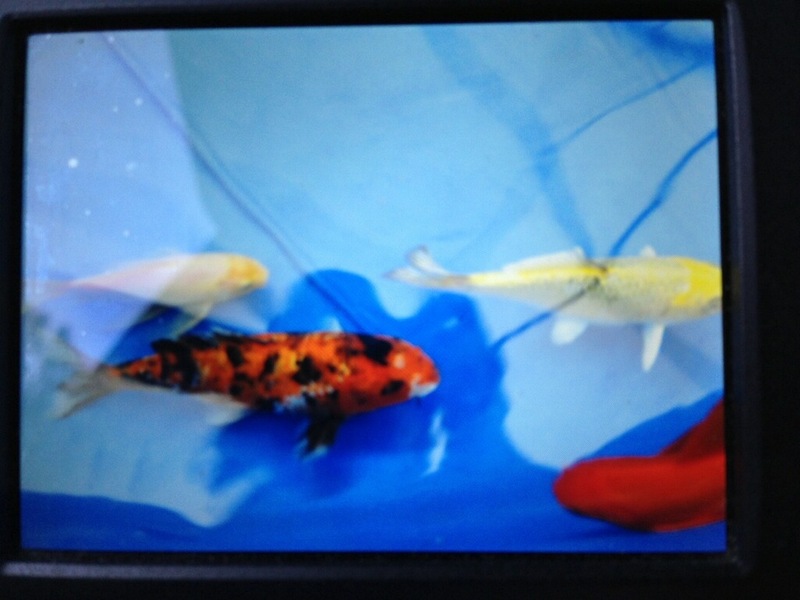 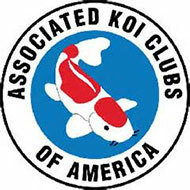 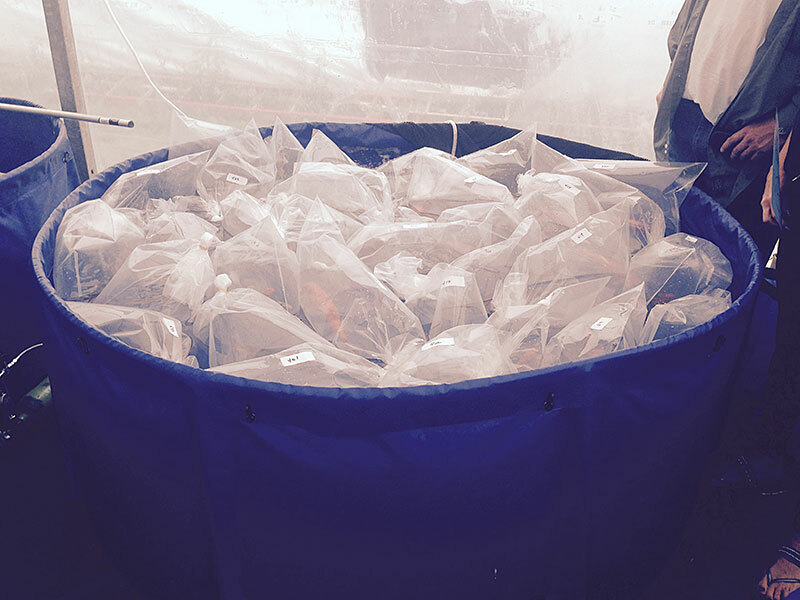 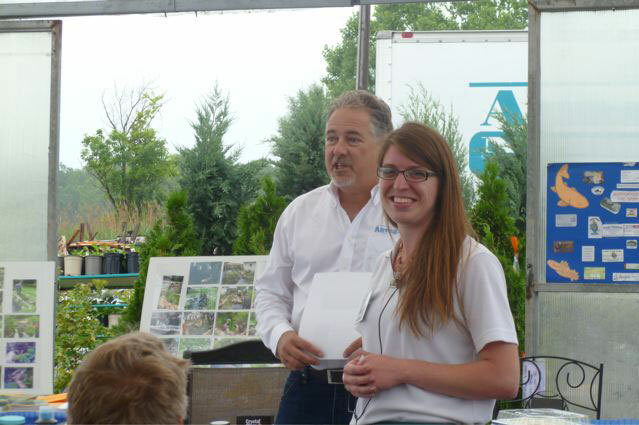 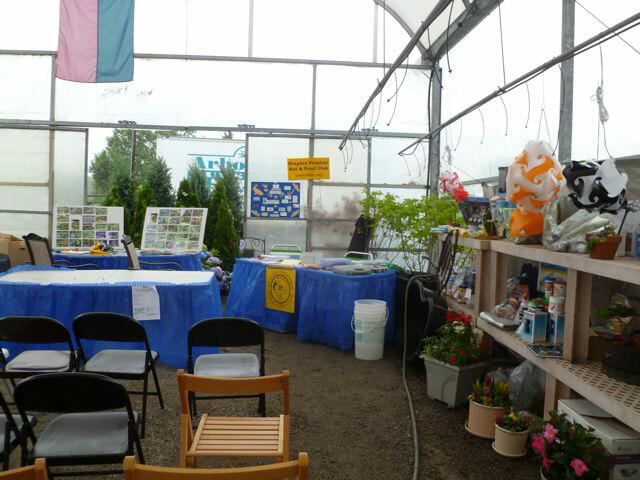 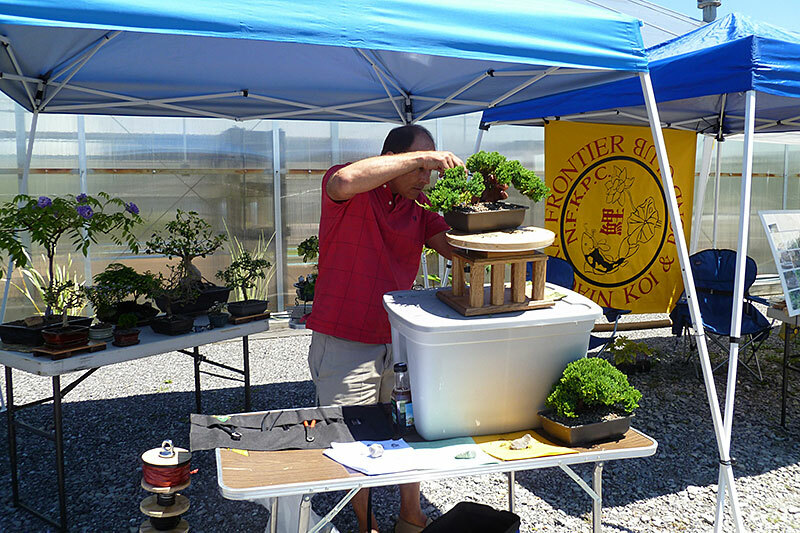 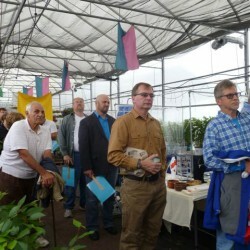 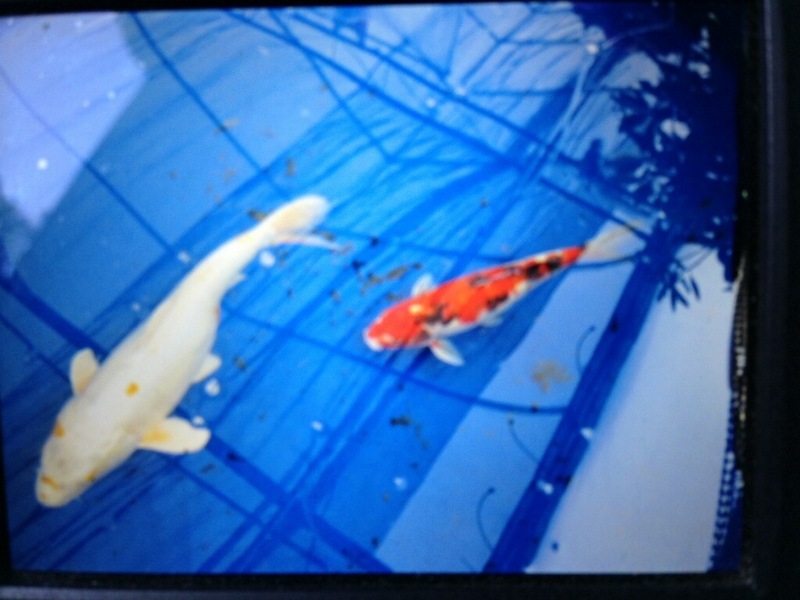 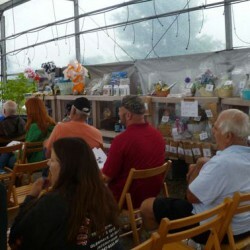 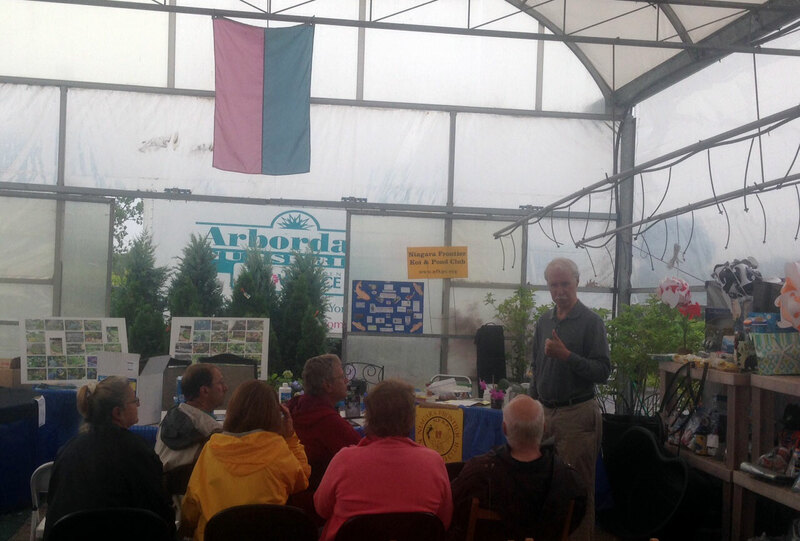 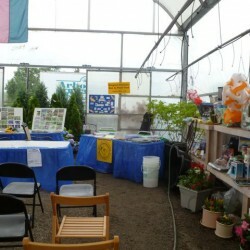 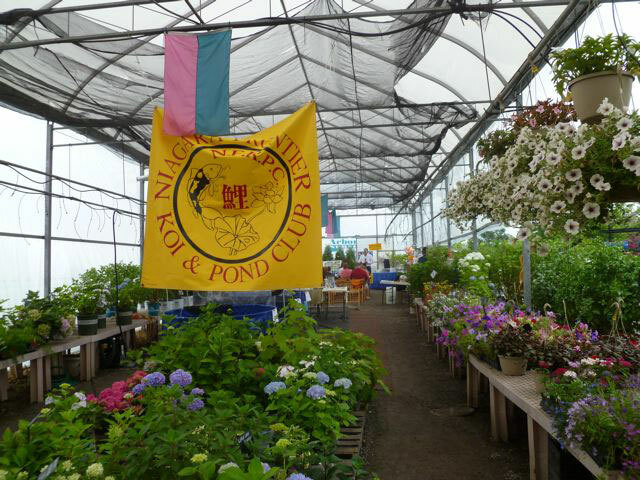 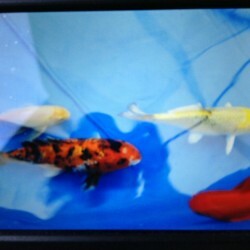 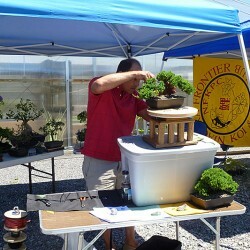 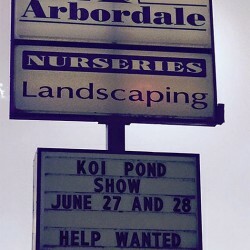 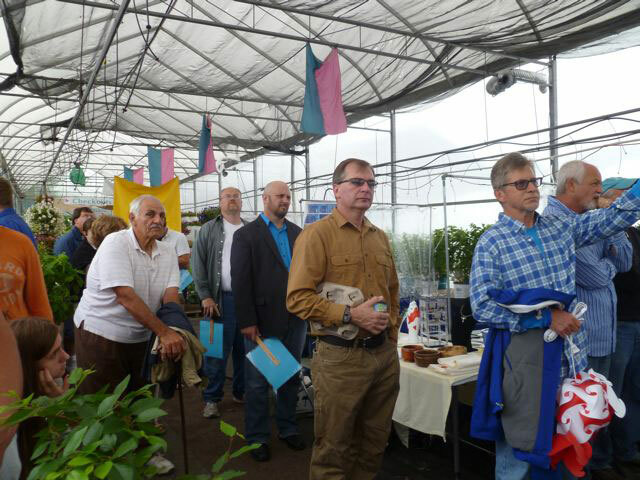 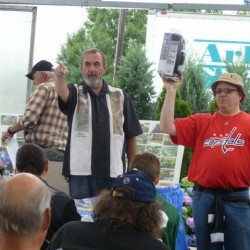 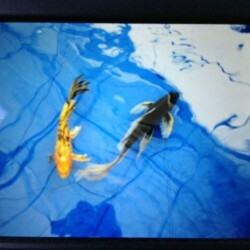 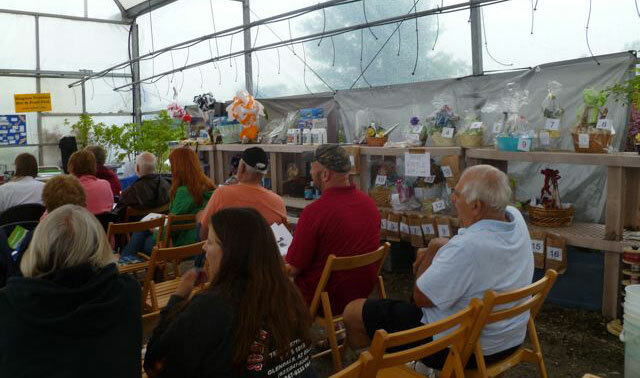 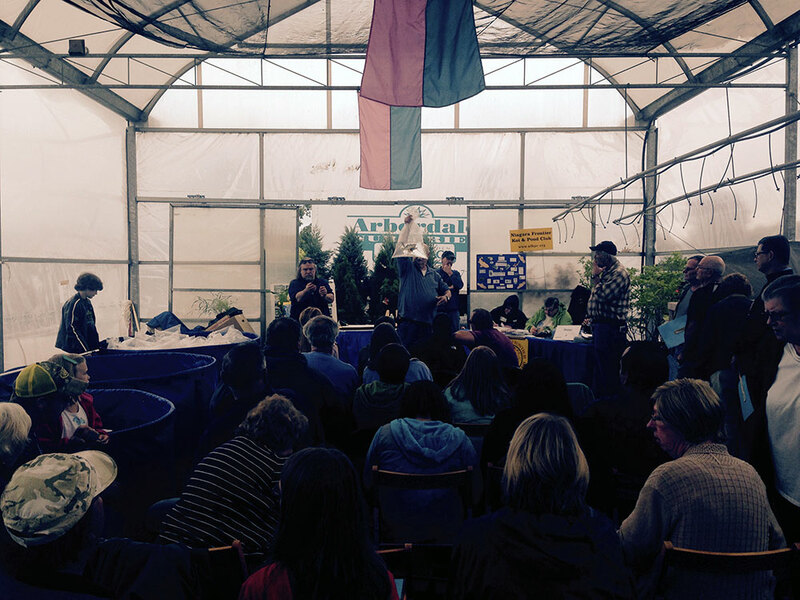 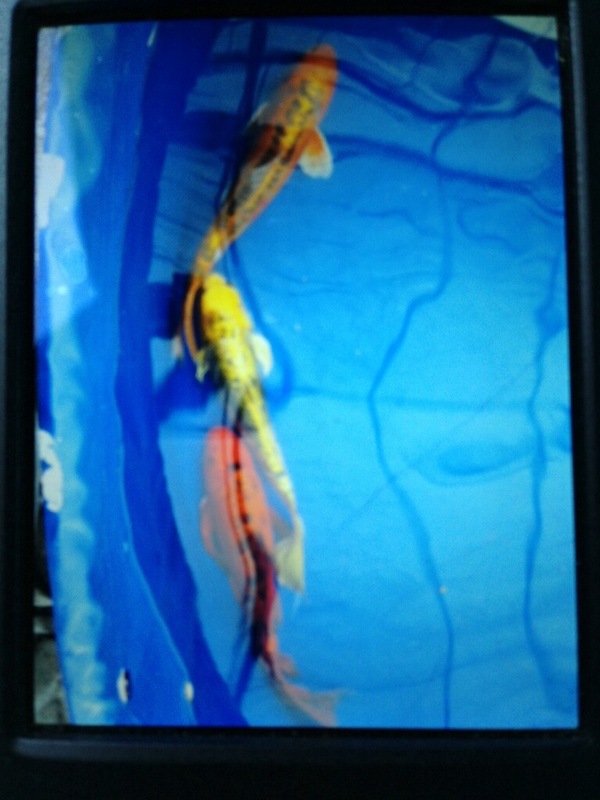 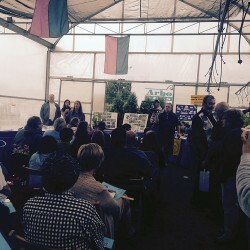 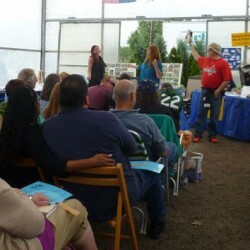 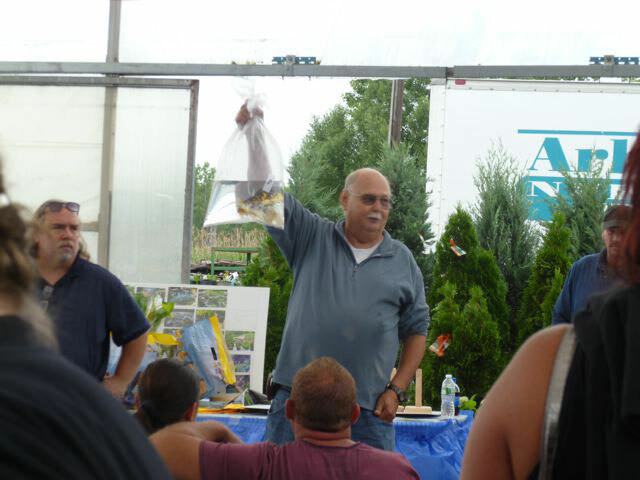 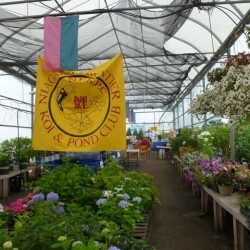 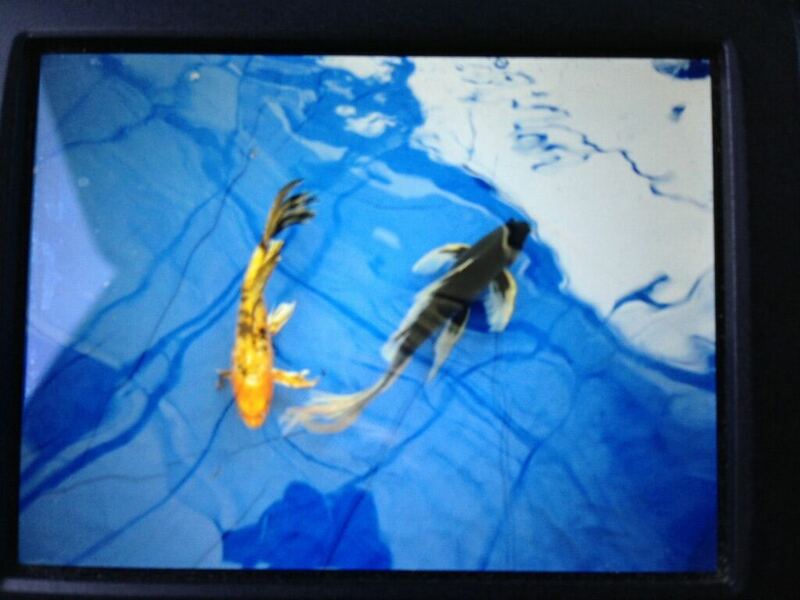 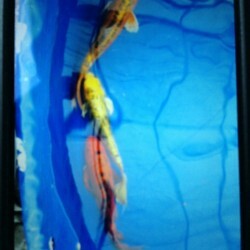 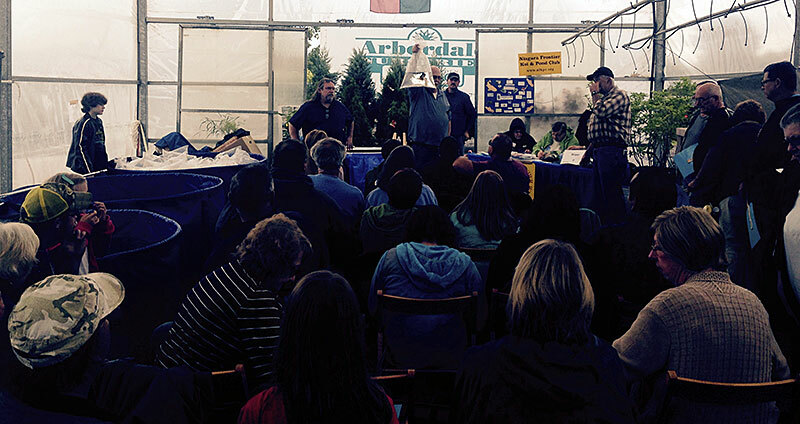 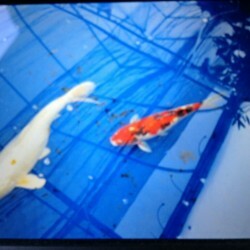 This years Koi show & auction was held at Arbordale Nurseries Getzville, NY. 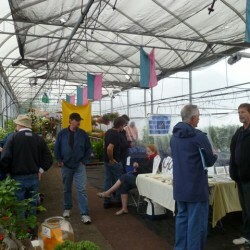 It was a HUGE success (even with the monsoons on Saturday). 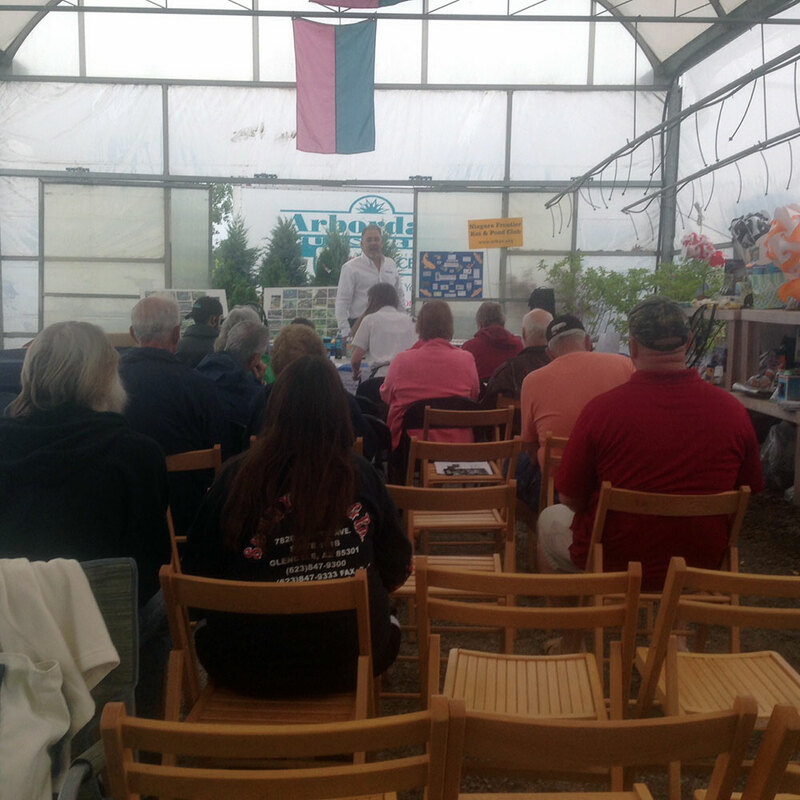 Saturdays festivities began with Trey Smith from Airmax Ecological Systems speaking on water quality, aeration and bacteria. 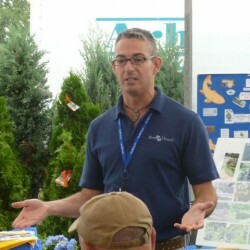 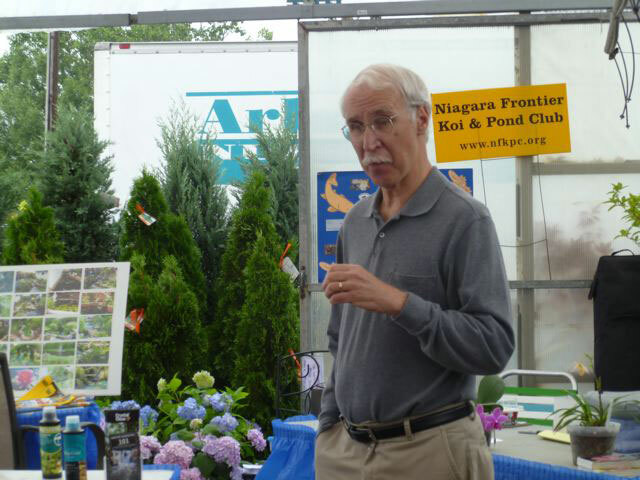 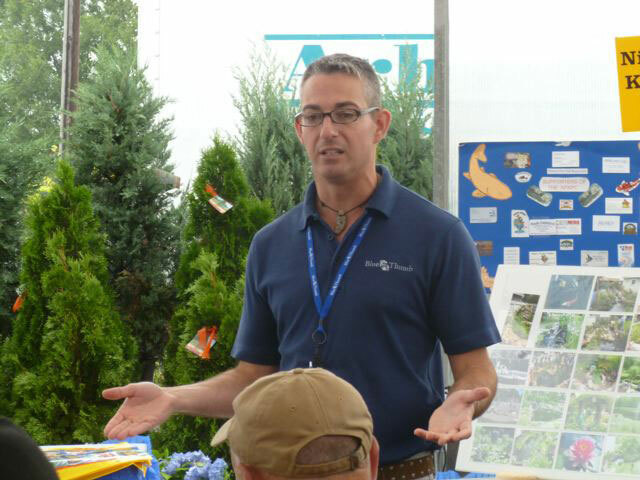 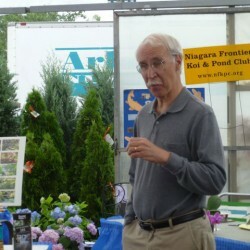 Followed by John from the Niagara Frontier Orchid Society then Aaron Scarlata from Blue Thumb. 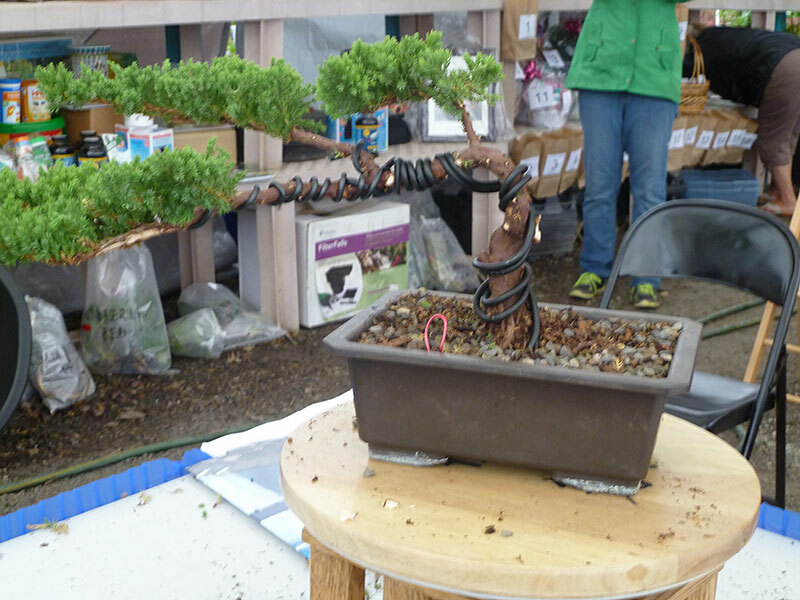 Afternoon demonstrations ended with Chris Wilkolaski and Scott Russo of the Western New York Bonsai Society pruning a tree. 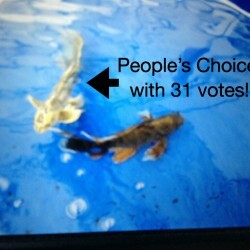 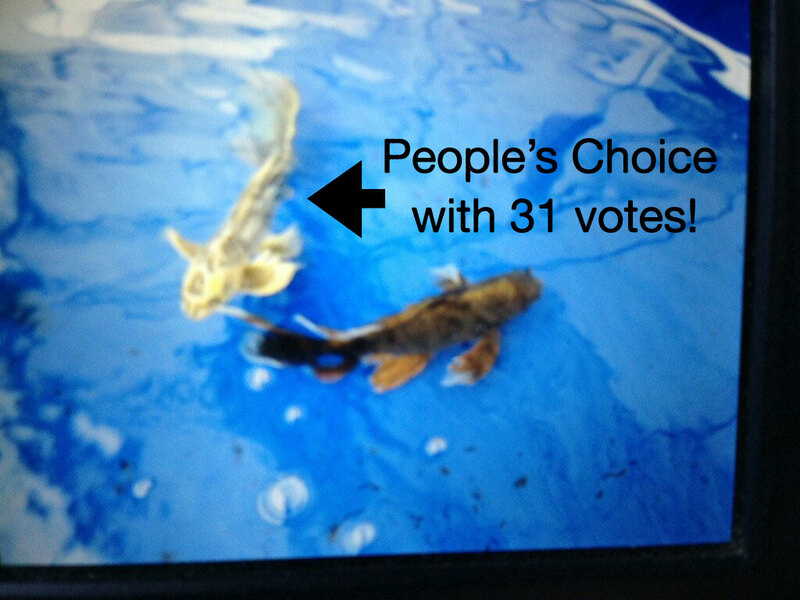 Over 90 people voted for their favorite fish that our members had on display. 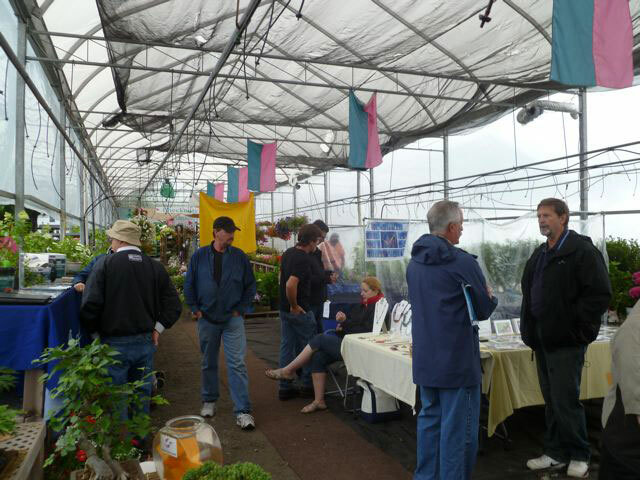 The heavy rains held off until 4 pm. 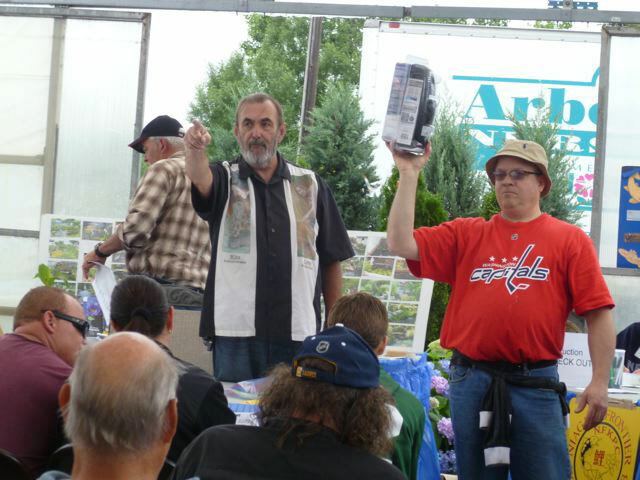 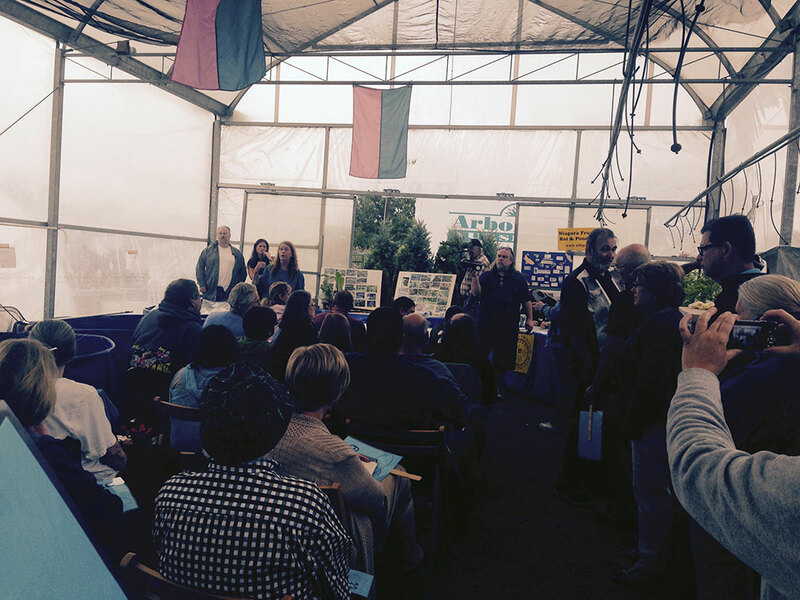 The weather was better on Sunday and we had an excellent turn out for the auction! 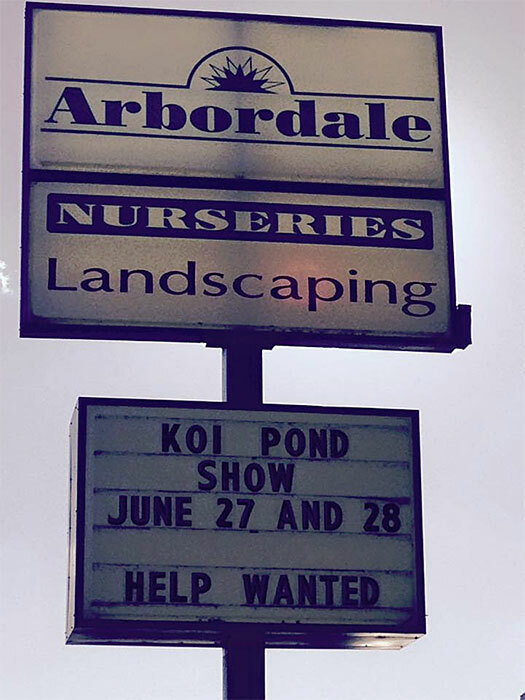 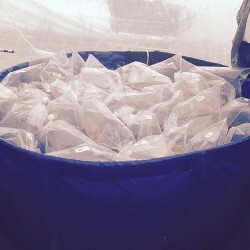 Over 100 hard good items including food, filters, aerators and pre-formed ponds, 20 baskets for raffle and over 50 koi were sold! 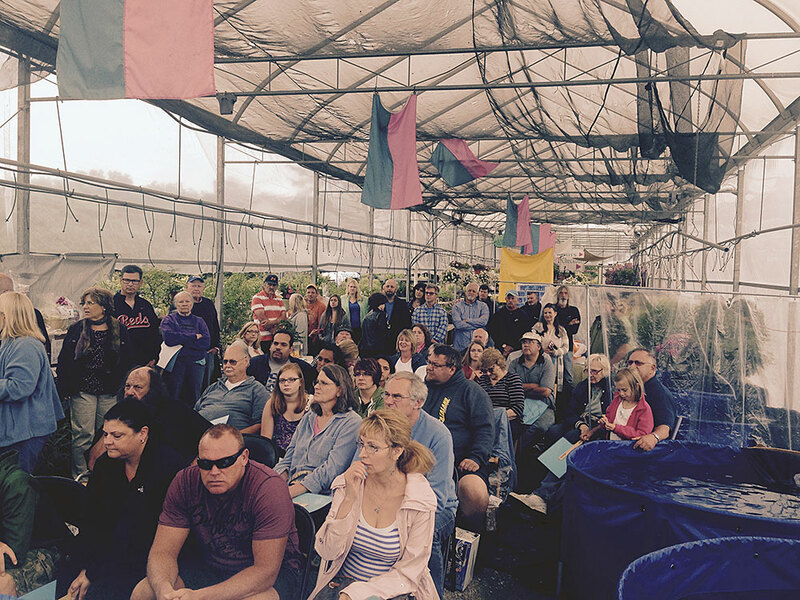 Thank you to all that attended! 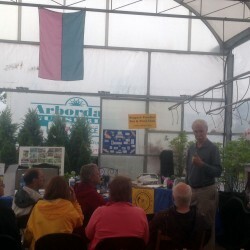 Trey talking about the importance of pond airation. 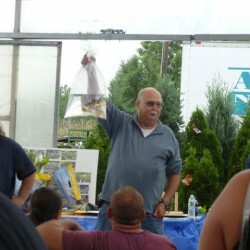 Ray “Kingfish” Lucas doing his thing. 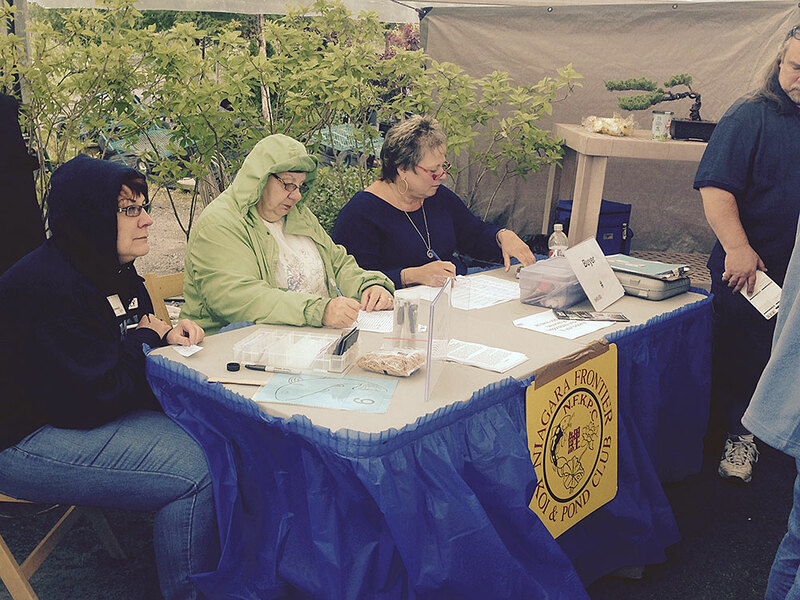 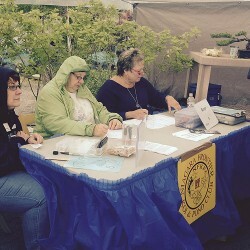 Special thanks to Nancy Wojnowski, Sandy Grefrath & Denise Moeller for running the numbers!